1. With flashing beads, this necklace is a great accessory for Mardi Gras and Spring parties. 2. This light-up necklace assorted pack features 12 assorted colored beads (4 blue, 4 green, and 4 red), each with 4 bright LEDs. 3. Twist the clasp at the top to turn the LED lights on and off. 4. 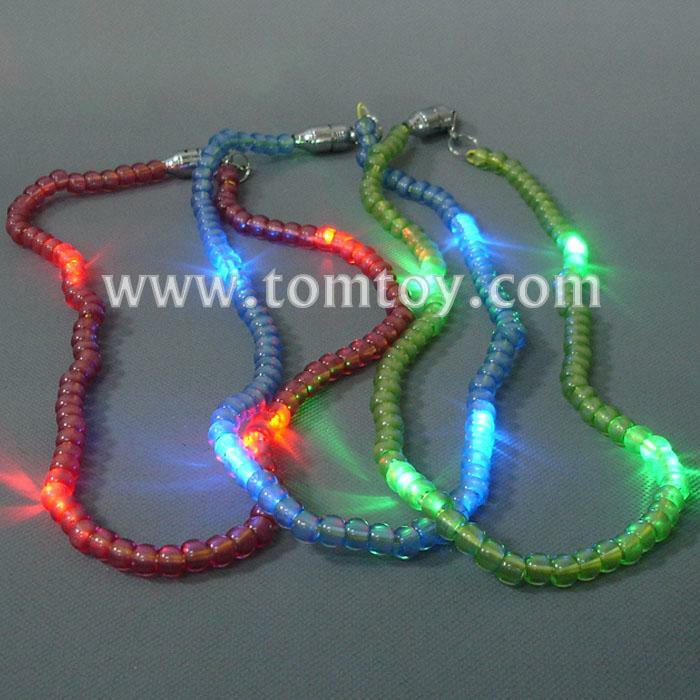 These Led Necklace are environmentally friendly, non-toxic and are designed to last for a long time. 5. 3pcs LR41 batteries are included and installed.